Dr. Dennis W. Choi, Emory University, will deliver the keynote address. University investigators and industry executives will gather next week to discuss research partnerships that can help translate laboratory discoveries into better medicines and medical devices. Academic & Industry Intersection: Accessing Partners, will highlight the best strategies for successful collaborations and provide critical information on how universities and industry can successfully work together. The conference, hosted by the Atlanta Clinical & Translational Science Institute (ACTSI) and Georgia Bio, takes place Wednesday, Feb. 3 from 11:30 a.m. to 7:00 p.m. at the Emory Conference Center, 1615 Clifton Rd., Atlanta, GA 30329. The program features a keynote address by Dennis W. Choi, MD, PhD, vice president for academic health affairs in Emory's Woodruff Health Sciences Center. Renowned for his groundbreaking research on brain and spinal cord injury, he joined Emory in 2007 as executive director of Emory's Comprehensive Neurosciences Center. 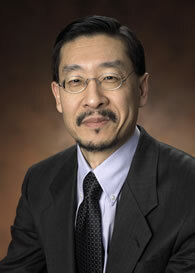 Choi previously served as executive vice president for neuroscience for Merck Research Labs. ACTSI represents Emory University, the Georgia Institute of Technology and Morehouse School of Medicine. Other organizations participating are the National Center for Research Resources of the National Institutes of Health, the U.S. Food and Drug Administration and the Georgia Research Alliance. The program will include panels from academia, federal and state governments and industry discussing the challenges and successes of their relationships. In addition, university and industry representatives will highlight collaborative opportunities in an exhibit area. For a complete agenda and registration information, go to the Georgia Bio website. For questions, contact Georgia Bio's Maria Thacker, maria.thacker@gabio.org, 404-920-2042.